A concrete curing blanket is a specialized material that is constructed with an inner foam layer and is sandwiched between two layers of cross-laminated films or HDPE woven fabric. When concrete is poured on the blanket, which is essentially an insulating cover, it ensures that the concrete application is smooth and uniform, especially in cold weather. At Jindal PolyWrap, we use the toughest film material for the right insulation and extended longevity where the foam is hydrophobic and highly resilient to ensure longevity and durability. The Concrete Curing Blanket is equipped with heavy-duty grommets at the corners and every one metre to help secure it at the intended site. They are made of sturdy woven polyethylene material, which is flexible that provides improved insulation and longevity. It is best suited for concrete work at the job sites. The Concrete Curing Blanket features a black outer layer that provides desired temperature required in order to keep the interior cool, while the inside has silver fabric to help the interior protected from heat. 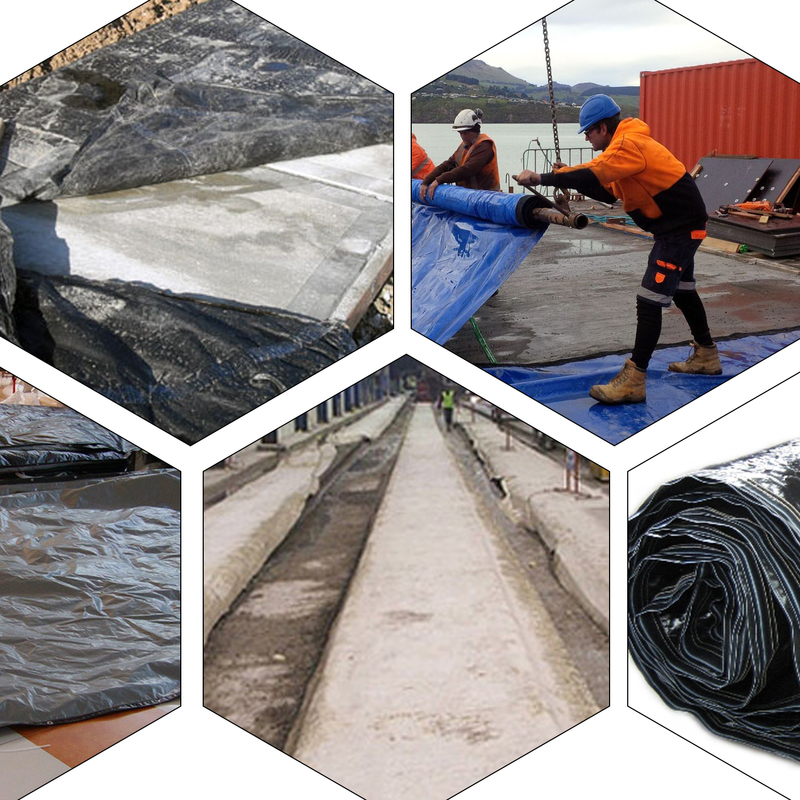 The Jindal PolyWrap Concrete Curing Blankets are available in a range of different sizes, depending on your needs, for any project, no matter how big or small.